A multi-terrain boot perfectly suited to the demands of those who venture from high trails into summer alpine routes. 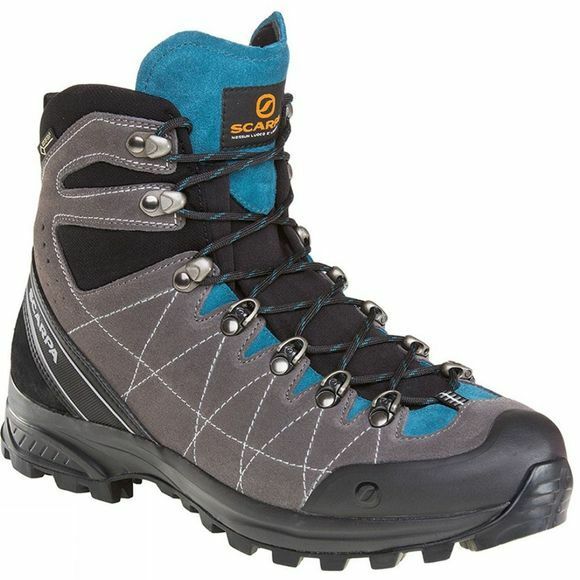 Loaded with performance features, you’ll find the Scarpa Men's R-Evo GTX Boot gives an exceptional blend of stability, grip and comfort that allows you to really explore the mountains. First and foremost, it fits as snug as a sock. The Sock-Fit construction means that the tongue, flex-point and collar are made from a single piece of ergonomically shaped Schoeler S-Tech technical fabric that wraps around your foot. The Biometric Trek outsole from Vibram offers great shock absorption underfoot while a broad heel platform ensures great stabilty and comfort, particularly over uneven surfaces.